This fo ur-part series is narrated by Jason Watkins and heavily features Tracy Borman, Joint Chief Curator of Historic Royal Palaces. The first part dealt with the Peasants’ Revolt, which resulted in Simon of Sudbury‘s beheading and Borman travelled to St. Gregory’s in his home town to view the preserved head. She spoke about the animals kept in the various mini-towers and the Royal Mint that coined “Long Cross Pennies”, introduced by Henry III. We saw the Beefeaters, including a retirement party for one, before scholars at Eton and King’s College commemorated their founder, Henry VI, at the “Ceremony of the Lilies and Roses”. Then came the mystery of the “Princes”, as Borman used Domenico Mancini’s correct forename whilst taking him at face value a little too much, although she did note that More was five in 1483 and wrote three decades later to please Henry VIII. The seventeenth century discovery of remains of some sort was mentioned and a new exhibition on the “Princes” was launched, even as counter-evidence has emerged and been clarified. Part two focussed on Henry VIII’s first and second “marriages”, together with the dramatic end of the second. Part three moved on to the twentieth century with the shooting of Josef Jakobs and other German spies, together with the 1913 visit of the suffragette Leonora Cohen. Rudolf Hess was also held there, as were the Kray twins later. The concluding part dealt with the role of the Constable, the ravens and the interrogation of Guy Fawkes and other prisoners, together with the tale of the more privileged, such as Raleigh, and the audacity of Colonel Blood’s attempt to steal the Crown Jewels, so soon after many of them had been recreated. An exhibition with a sample of Richard’s handwriting…. One of Richard’s letters is included in this upcoming museum exhibition. Unfortunately for those on this British side of the Atlantic, the museum in question is in New York! The Magic of Handwriting: The Pedro Corrêa do Lago Collection will run from June 1 to September 16, 2018 at the Morgan Library and Museum in New York City. 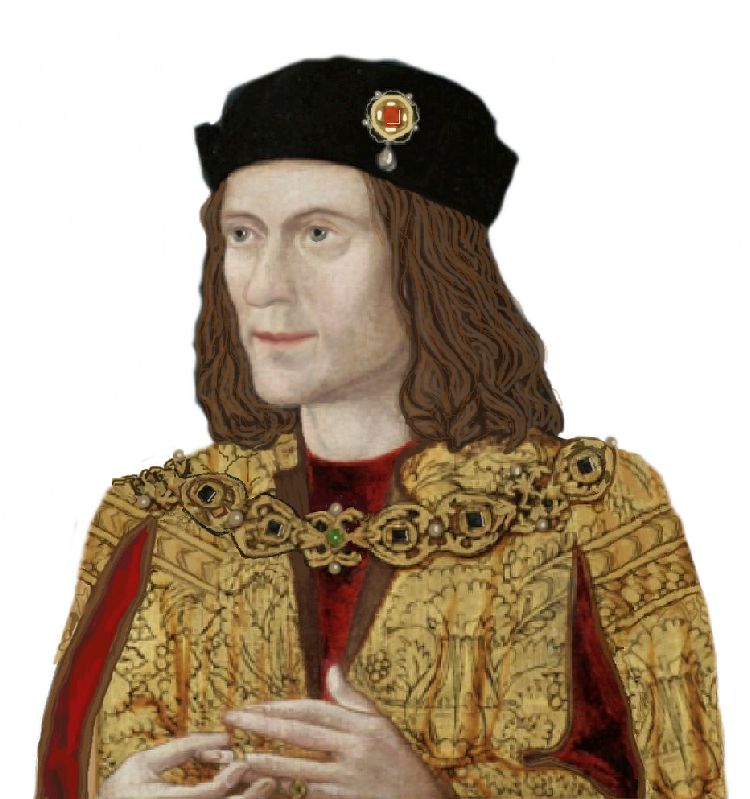 From Saturday to Easter Monday, the Richard III Visitor Centre will have a special interactive exhibition for children, including the chance to build the King from Lego bricks or to illustrate him in other ways. Medieval treasures, including the Middleham Jewel, to be on permanent display in York…. A number of medieval treasures, including the Middleham Jewel, are to go on permanent display at the Yorkshire Museum in York to tell how the city once ruled the North of England, and will be unveiled today. Richard’s gone to Galway! Lucky man. No wonder he’s smiling. Well, it’s The ‘Richard III Discovered’ Exhibition that’s gone, but he’s there in spirit, I’m sure. Sudeley Castle certainly seems to be making the most of its Ricardian connections these days.The latest news is that they will temporarily have Gloucester’s ‘Mourning Sword’ on display up until October 20th. This sword was given to the city by Richard while he was on his first progress in 1483. He also gave them his cap of maintenance, which unfortunately no longer exists. The sword has been refashioned several times in its long history but appears to retain at least part of its original core. The right to have a sword carried before the mayor is specially conferred upon the city of Gloucester by Richard’s charter, dated 2nd September, 1483. Sudeley is also worth visiting because it is believed Richard stayed there prior to Tewkesbury, and later built the now-ruined great hall, which must have been a real eye-catcher when complete. Besides the sword, the Richard III collection contains a spur from Tewkesbury Field, and Sudeley’s own version of a reconstruction of Richard’s face.